I wanted to share some news with you about an upcoming event that´s all about inspiring your little ones to become creatively alive with the help of Crayola. Crayola wants every child to be creatively alive, so they´re inviting parents "Inside the Crayon Box," for a special live chat with celebrities and trusted parenting experts that will inspire and spark ideas to expand your child´s creative thinking. If you find yourself looking for new ways to inspire your children to express their ideas and build their creativity, you´ll want to join in to learn and share! The first "Inside the Crayon Box" live chat is Wednesday, March 7 at 9 p.m. EST. Join Crayola and musician, children´s author and mom, Lisa Loeb for a 45-minute live streaming video chat on the Crayola Facebook Page. Lisa, best-known for her number one hit "Stay (I Missed You)," will share personal stories, practical advice and ways she brings a little creative play into every day for her daughter. They want to hear from you - participants can ask Lisa questions during the live event! Just in case you miss the Crayola "Inside the Crayon Box" event, check out the Crayola YouTube Channel where the session will be posted. 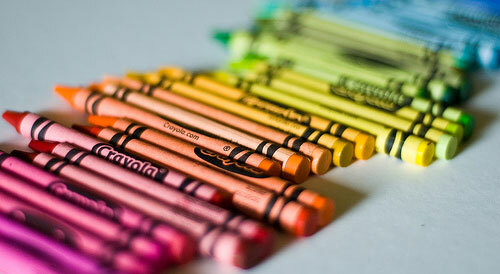 I hope you´ll be able to join Crayola for "Inside the Crayon Box" and spread the word to your friends. To learn more about the tools from Crayola that make it easy for parents to help children develop their creativity www.Crayola.com and like Crayola on Facebook! Also, be sure to check out Lisa´s book Lisa Loeb´s Silly Sing-Along: The Disappointing Pancake and Other Zany Songs (Sterling Children´s Books, 2011) available at Barnes & Noble and Amazon.com. Sing, laugh, and play with pop Lisa in this fabulous collection of ten of the silliest songs ever. Fun activities, games, and recipes accompany whimsical songs. Take Lisa's Silly Sing-Along with you wherever you go and get the high-spirited good times started. Includes a 10-song CD recorded by Lisa!